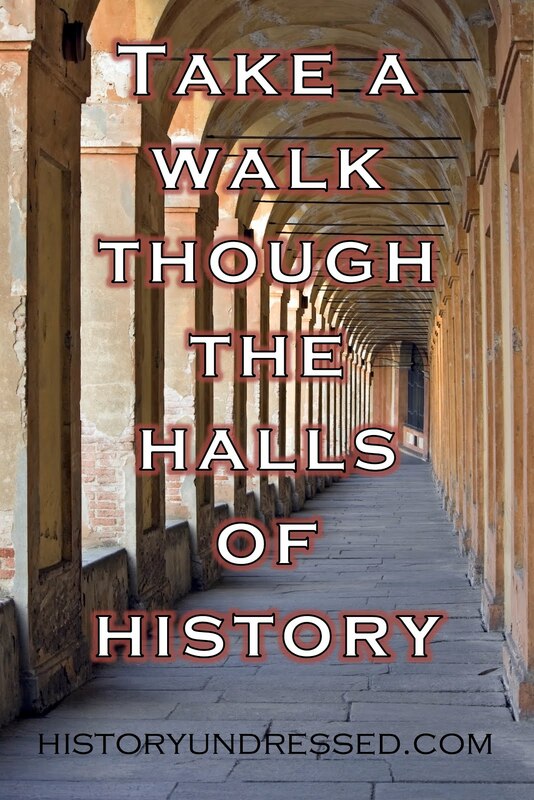 Welcome to History Undressed, author of riveting fiction and non-fiction, Malcolm Archibald. 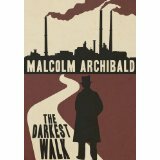 Today Mr. Archibald is here to thrill us with a bit of history on crime... Enjoy! Not many people indulge in body-snatching nowadays. It is one of the forgotten arts of crime, like child-stripping or garrotting, yet at one time it was a plague that spread across the countries of Scotland and England and created as much consternation as highway robbery or, piracy. That is the strange thing about crime; it can be very period specific, or may be as recognisable today as it was hundreds or even thousands of years ago; some actions that were once regarded as criminal are now accepted, and actions now regarded as criminal were once just seen as part of life. History, of course, has put a gloss of romance on many crimes that were despicable or terrifying at the time. Take piracy: robbery at sea sometimes perpetrated by some of the worst creatures to haunt the globe, but Hollywood has often portrayed pirates as seaborne Robin Hoods; if Robin was a hero and not indeed just a hoodlum. Or take the opening line of this blog: bodysnatching. Throughout the 18th century, and well into the 19th, a lack of bodies hindered doctors teaching anatomy. By law, only executed criminals could be dissected, and as the population increased and the demand for doctors soared, the gallows failed to provide an adequate supply of corpses. The answer was simple: medical students joined the roughest of the rough in nocturnal visits to graveyards to unearth the newly deceased. Naturally the relatives of the dead were not too happy about this, and in many places there were night watches put on the graveyards. To many, a dissected body meant the previous owner could not enter Heaven: the body snatchers, the Resurrection Men, stole souls as well as flesh and bones. Dundee in Scotland, dubbed ‘A Sink of Atrocity’ by the Judge Lord Cockburn, was one city to place a guard on the graves. 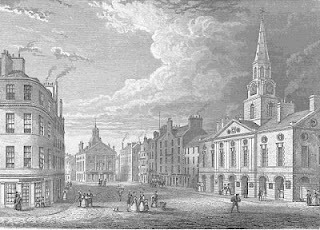 After a couple of scares in the early 1820s, including one where a student had been caught carrying a coffin on the Edinburgh coach, the good people of the town formed themselves into a burial ground watch to prevent what the local Dundee Advertiser termed ‘the violation of the graves by those unfeeling wretches the resurrectionists.’ The watch brought their own lanterns, weapons and refreshments, and stood guard at the Howff, Dundee’s graveyard, until six in the morning. There were a few memorable incidents including a gun fight among the gravestones, a member of the watch falling unseen into an open grave and a grave robber caught climbing over the wall. That particular man had cause to regret his position as a member of the watch thrust a bayonet into his bottom, but no more graves were robbed in Dundee. The graveyard is still there; a peaceful haven in the middle of the city, with people munching their luncheon where the men of the watch once stood guard. It is unlikely that the days of the Resurrectionists will return, but there is certainly a watchful atmosphere in the Howff, when the winter moon casts long shadows and the stark trees rustle above the graves. There is daily an assemblage of apprentice boys under the Corn-market who misspend their time in tossing halfpence and in other species of gambling. Such practises tend most powerfully to vitiate their minds and commonly lead them to plunder their masters. ‘Infested by a gang of villains whose depredations on the property and attacks on the persons have made them the pest and terror of all. A few idle boys whose only apparent means of subsistence was gathering dung off the streets, but who carried on pilfering on a small scale to a considerable extent. Given the increased perceptions of social cohesion of modern society, it still seems inconceivable that nobody appeared to notice the obvious link between deprivation and crime. These twin evils were addressed, sometimes together, often separately, by a relative handful of concerned and frequently Christian people. Nevertheless, the most common reaction was to crack down hard on lawbreakers, or, at best, attempt rehabilitation by clumsy and forceful methods. For example in September 1834, when ten year old James Bell of Dundee was convicted of stealing a number of small items including a pewter teapot and an earthenware jug, he was transported to the penal colony in Australia for seven years. Perhaps even harsher was the treatment of John Crockatt of Dundee. He was convicted of theft in January 1862, and when his mother admitted he was beyond her control; the court sent him to an industrial school for nine years. John Crockatt was all of six years old. Such sentences make the punishment of ten stripes of the tawse meted out to a group of boys in 1862 seem positively mild. Their crime may even have been worse than petty theft, for they unmoored a rescue boat at Magdalen Point in the River Tay. Putting lives at stake seemed less important than stealing in a society based on property and ownership. The definition of crime with regard to juveniles may not have altered, but the weight behind the different crimes certainly has. Mind you, he may have had a point: in 1853 the town had one pub for every 144 people, not to mention the hidden shebeens, the unlicensed drinking houses that sold raw whisky straight from the glens. These drinking dens were often home to prostitutes and petty thieves, but usually just to the unfortunate, the desperate or the tragic. 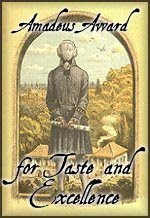 Mags Gow was one of the latter, a Dundee fishwife who could not refrain from over indulging. Was she a criminal? She certainly had a long criminal record. She appeared in court over 250 times for drunkenness and ended up in the lunatic wing of the poorhouse. Mags was only one of a whole raft of Scottish women who fell foul of the law. There is sometimes a perception that 19th century women were shielded from the world, meek, and prone to swooning. I do not know from where these ideas originate, but they were certainly not true for Scotland. After being married to a Scotswoman for upwards of thirty years, and having brought up two Scottish daughters, I can say that meekness is not one of their defining attributes. Honesty, integrity, loyalty and forthrightness: yes, but never meekness. The same was true in the 19th century. Scotland had women ship owners and landladies; agents for the whaling industry, authors and adventurers; missionaries and even a ship’s captain. There were also the female criminals who were often even more deadly than the male. 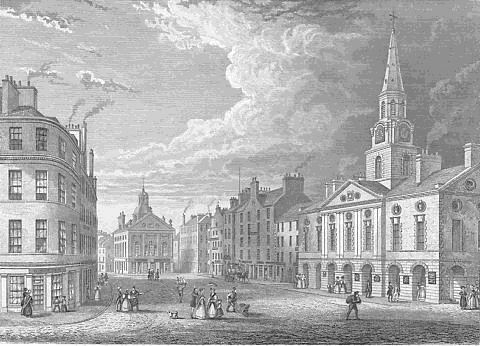 For example there was the case in 1823 when the policeman on the South Bridge beat in Edinburgh who ran into a house to end a disturbance, to find eight naked women brawling with flat irons, or the anything-but-meek Margaret Nicoll who led a gang that controlled Dundee’s Little Close and whose war cry ‘Give the Bugger Law’ was a prelude to a rush of enraged women and men on anybody foolhardy enough to chance that passageway after dark. Some crimes of the 19th century can only raise a smile of disbelief today, such as the case in October 1862 when Catherine Luckie of Dundee who was charged with having 20 hens and 14 pigs in her one roomed house. Although she was ordered to get rid of her livestock, Luckie could not see what all the fuss was about as they were “no nuisance whatever” to her. The opinions of her neighbours were not noted. Other cases are as familiar today as they were then: shoplifting was as much a plague in the 1860s as it is in the early 21st century, and although the methods might not change, the equipment did. In September 1862, Keiller’s Confectionary realised that they were losing considerable quantities of their stock and were not sure how. 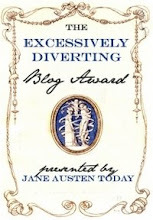 The staff was checked going in and coming out, and nothing was found until something slipped from beneath a girl’s crinoline and a jar of jam crashed to the ground. A substantial search uncovered that ten of the workers had been smuggling out marmalade and jam under their crinolines. Not surprisingly, that article of clothing was subsequently banned from the building. The court rooms of Dundee and Edinburgh were often packed with intransigent women who could respond to their sentences with a mouthful of abuse and whose watchwords were defiance and contempt. Their sisters-in-crime can be seen today, in the same court and often for the same reasons. Women then, were heavily involved in the cornucopia of crime that flavoured the 19th century. It was a fascinating period where the old pre-industrial age splintered before the clattering onrush of the machine, where masses of people adapted to new living conditions in crowded cities and where the poor struggled to survive by any means they could, on either side of a law that often seemed weighed to the advantage of the rich. The crime of that century may be coloured with rosy tints, or monochrome through antique prints, but to the victims who suffered by it, crime was as sordid and ugly then as it is now. Perhaps if we were to don the boots and endure the darkest walk of the 19th century, the reality of life and crime would be revealed to us. As it is, we may only seek to bring the colour, romance and scalp-scratching atmosphere of the period to life through words and created images. That is the job of the writer. Dundee in the nineteenth century was a very dangerous place. Ever since the Circuit judge Lord Cockburn branded the city 'A Sink of Atrocity' in his "Memoirs", the image of old Dundee has been one of poverty and crime - but what was it really like to live in the streets and closes of Dundee at that time? 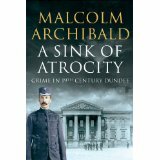 In "A Sink of Atrocity", Malcolm Archibald reveals the real nineteenth century Dundee and the ordinary and extraordinary crimes that took place. As well as the usual domestic violence, fighting and robberies, Dundee was also beset with a catalogue of different crimes during the century. There were the Bodysnatchers and Resurrection men who caused much panic in the 1820s and an epidemic of thieving in the 1860s. There were gang crimes, infamous murders and an astonishing outbreak of crimes committed by women, as well as the highly unusual theft of a whale at sea. Poverty and drink played their part and up against this tidal wave of crime stood men like Patrick Mackay, one of Dundee's Messengers-at-Arms, who was responsible for apprehending criminals before the advent of the police. It was not an easy job but those who were caught faced the full force of the law, from fines to jail and from transportation to hanging, as the authorities fought to bring law and order to Dundee. It is 1847 and Detective James Mendick is on his first case. Disturbing new evidence suggests the Chartist movement is seeking violent action after years of oppression. With the spectre of civil war looming, Mendick goes undercover, but his loyalties start to waver when his sympathies are awoken by the plight of the working classes and the beautiful and enigmatic Chartist, Rachel Scott. Soon, Mendick discovers there is more to the case than he has been led to believe and that unravelling this darkest walk of crime will be a matter of life or death. There was a film about two men who murdered people and earned their living by selling the corpses to a doctor. It seems to have made a big hue and cry at that time, getting laws changed. The myth about swooning women came from the upper class rich women, who basically had nothing else to do than throw tantrums out of boredom.